Step-by-step directions on connecting Macs to a shared hard drive for backup. What file service should you use with network drives and Time Machine? Ed Bernard has all the right pieces, but wasn’t able to find a straightforward explanation for backing up his three Macs to a single external drive that he’s attached to one of them. Here’s how to do that. First, Attach the hard drive to the Mac you want to act as the Time Machine “hub.” This should be a desktop machine and, preferably, one that’s connected via ethernet to your home network. Wi-Fi will work, but the amount of backup data passing over even the latest, fastest Wi-Fi flavor may bog down other simultaneous network activity. 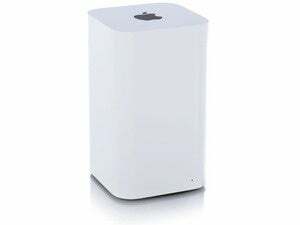 Even if only your Time Machine destination Mac connects to a base station via ethernet, that still halves the amount of backup data that passes over Wi-Fi—it’s transmitted from a Mac to the base station over Wi-Fi, and then from the base station via ethernet to the destination Mac. Second, make sure your external volume has been formatted ideally for Time Machine. I wrote a column earlier this year that explains the formatting issues for local and networked volumes. Now, set up Time Machine to use this external drive. Mount the Time Machine volume in the Finder. In the Finder, choose Go > Network (Command-Shift-K). Double-click the Mac in the Network view. Double click the Time Machine volume to mount it in the Finder. 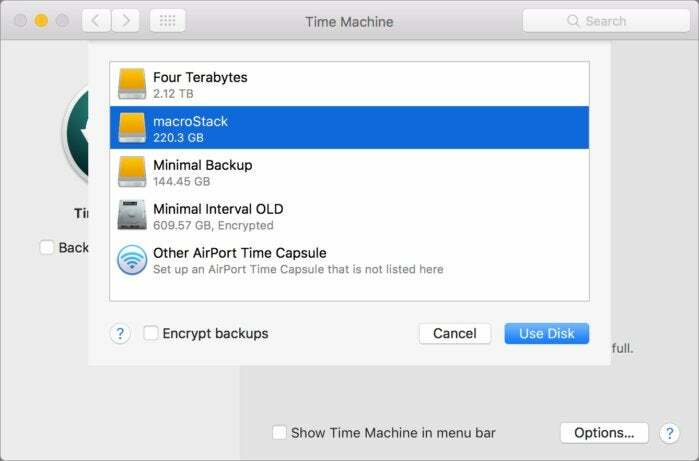 In the Time Machine preference pane, click Select Backup Disk and choose the network-mounted volume. Repeat steps 1 to 5 for other Macs. You can select a Finder-mounted networked drive just as easily as a local volume as a Time Machine destination. Other users can access shared folders on this computer, and administrators all volumes, at “afp://10.0.1.101” or “smb://10.0.1.101”. In the Finder, choose Go > Connect to Server (Command-K). In the Server Address field, type in the sharing information above, like afp://10.0.1.101 and click Connect. You should now be able to follow steps 3 to 5 above. Everything else is now automatic: macOS creates the necessary subfolders and other details on the external drive to keep backups separate.